There are items, structures, and spaces that are either too old but are still functional to be thrown away and completely discarded or somehow damaged but are too new and current to be replaced. It all depends on the owner of these items or properties on what measures and decisions will be applied to such conditions.One way of still using these kinds of items and properties without feeling their disadvantages is through renovation. It is the process of restoring items to function and look the closest way possible to their original usage and form. Renovation requires money to be shelled out as well, depending on the type of renovation to be done. 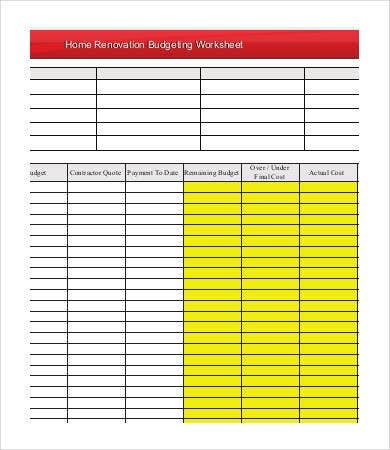 You may use our Budget Template to create your budget form used for the purpose of renovation or any other budgeting processes. Ancestral and other types of family houses are mostly bound for renovation. The different features of facilities of a house may be damaged over time, and it is very important to take a look at these items as it may be a threat to the safety and security of the people living there. 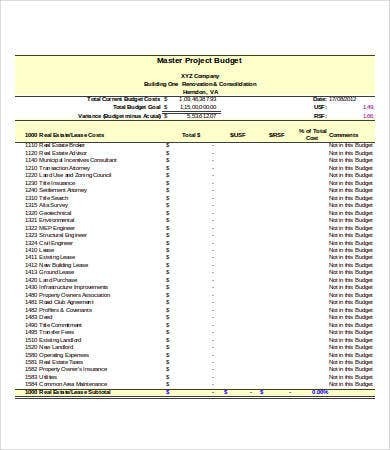 You may also see Budget Templates in Excel. Also, a house renovation may occur if the family wanted to have a bigger home but still wants to be in the same area or living environment. It can also be done when specific design ideas to be applied to a home design is not applicable to the current structure of the house. Renovations of properties and other industrial projects are very common nowadays. This move is done for a specific project to keep up with the needs of their market and for them to assure that they are ahead of their competitors. There are various industries like hotels, apartments, and condominiums that undergo the process of renovation to provide a more comfortable and more aesthetically pleasing environment to their clients. 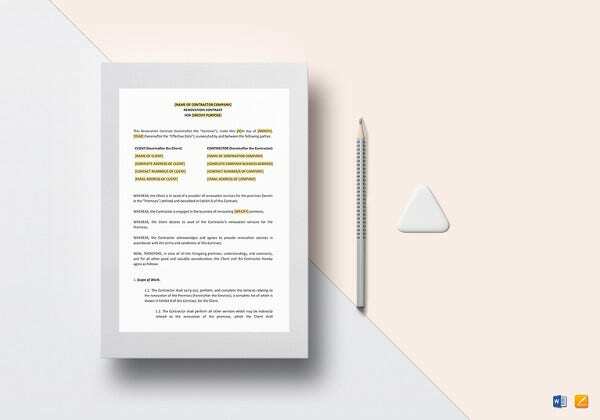 You may also see Advertising Budget Templates. 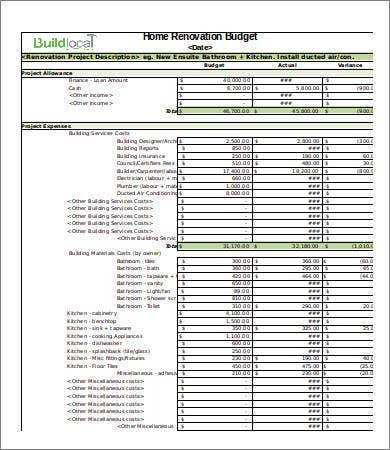 Other than the samples that we have provided regarding renovation budget, we also have downloadable Excel Budget Templates and a Construction Budget Templates available on our website. The physical condition of an item or a property is already not advisable for use. The functions of a specific item may be affected by damages and shall be subjected for renovation to retain its quality. 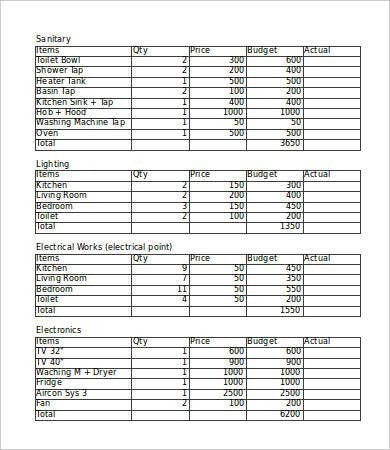 You may also see Business Budget Templates. The visual aesthetic of the item or property is already out of date. The personal view of the owner regarding the item or property regarding its design has already changed hence the need to keep up with new ideas that can be implemented through renovation. Improving of the functions of an item, a space or a property. The process of renovation, though mostly not as much as buying or acquiring a new item or property, is still costly. However, there are times when renovation fees are truly high that other people tend to just acquire new items rather than renovating what they already have. 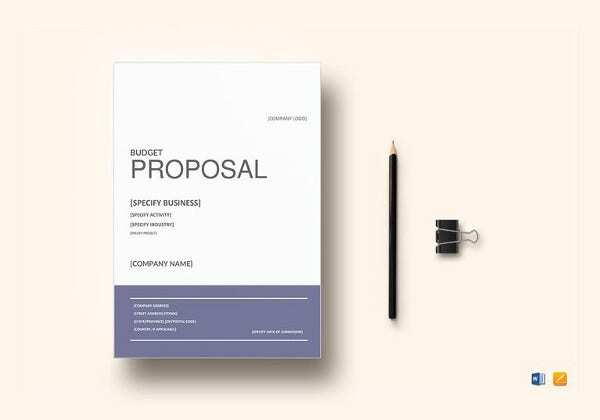 You may also check out here Yearly Budget Templates. It is very important for people who want to renovate something to keep up with the budget that they have in mind. A renovation budget will allow them to spend for necessary items depending on the money allotment that they have set for that specific item. 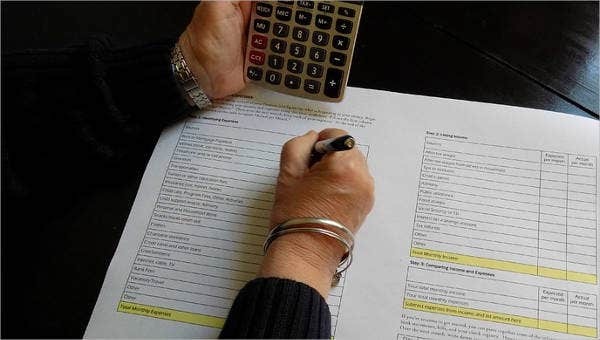 Adjustments may be done depending on the need for it but it is always a good start to box yourself on the limitations of spending which may only be done if you have a renovation budget sheet or document. 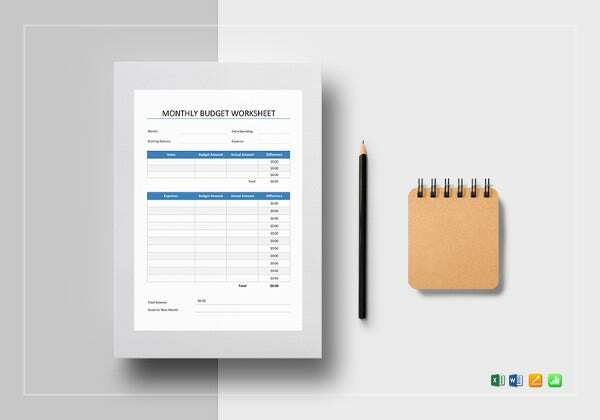 Aside from our renovation budget templates, you may also download our Manufacturing Budget Template to help you manage your factory’s financials.